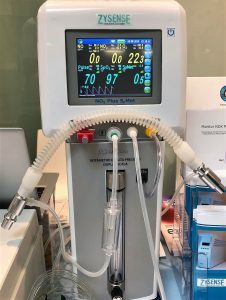 This electrochemical unit measures nitric oxide, nitrogen dioxide, and oxygen. 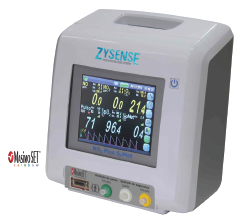 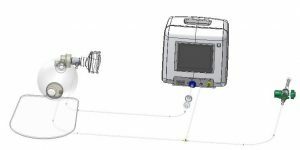 Also available with pulse oximetry and SPMet technology, the NOx Plus unit is a comprehensive monitor currently being used in Brazilian hospitals for a variety of clinical uses, namely to prevent and treat pulmonary hypertension in surgery patients. 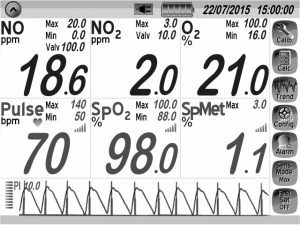 The Monitor NOx Plus is a dosing mechanism for Nitric Oxide therapy that measures NO, NO2, & O2 levels before they enter the airway. 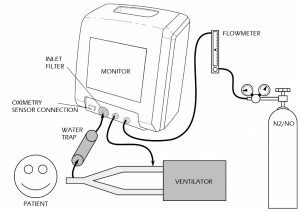 This unit has adaptability for use with newborn, adolescent, or adult subjects on ventilators, manual resuscitators, nasal cannulas.